One Ocean Expeditions (OOE), a world leader in small-ship expedition cruising, stretches its sails to warmer climates with its inaugural Active Discovery programmes. Sailing to South and Central America; Scotland, Ireland and Iceland, as well as Canada’s East Coast, OOE’s new Active Discovery itineraries, provide the perfect blend of small-group activities, wildlife viewing, relaxation, rich culture and history. Sailing on board the comfortable and capable RCGS Resolute, OOE’s Active Discovery voyages play host to a multitude of daily activities based on the destination, from zodiac cruising, sea-kayaking and stand-up paddle boarding to cycling, hiking and snorkelling, all included in the voyage fare. 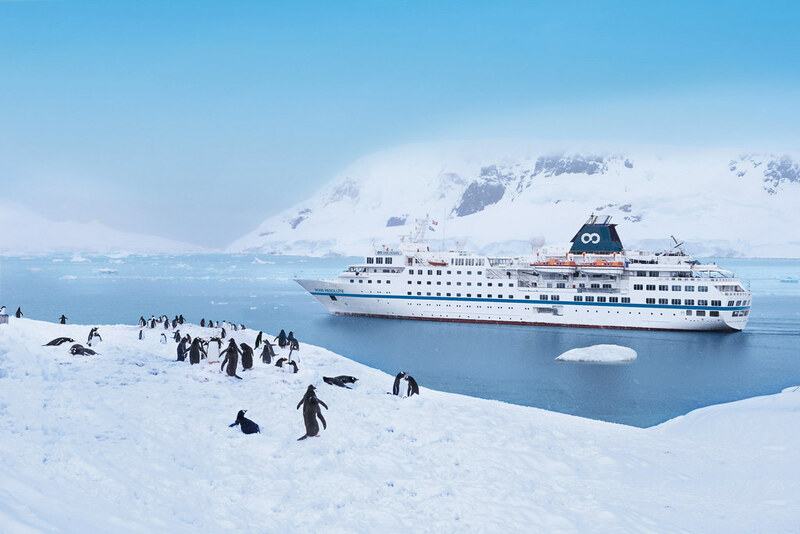 OOE’s Chilean Fjords (31 March – 13 April 2019) will give passengers access to some of the most remote areas along the Chilean coastline. The extraordinary manoeuvrability of RCGS Resolute provides unprecedented access to the maze of fjords and islands that make up this great wilderness, nigh on inaccessible to larger ships or from land. The voyage includes visits to Cabo San Isidro, site of the southernmost lighthouse on the continent; Peel Fjord, where glaciers spill into the ocean, and the Chonos Archipelago, once inhabited by the canoeing Chono people and home to a recently discovered population of elusive blue whales. This summer will also see Canadian Signature Experience, ‘Fins and Fiddles’ take place on Canada’s East Coast. Included in the cruise fare is an array of daily activities suited to passengers of all ages, fitness levels and diverse interests, from whisky tastings and museum visits to bicycling and kayaking, all led by guides well versed and eager to educate guests on the rich ecosystems that thrive along these coastlines. Sailing between 10-20 July 2019 and departing from the historic port town of Louisbourg, once the busiest seaport in North America, this voyage includes Sable Island famous for its herd of wild horses; the unique fishing communities of Les Iles-de-la-Madeleine and the northern gannets on Bonaventure Island. On board the Central America Explorer voyage (2-11 May 2019) guests will not only visit six countries in 10 days, sailing through the tropical waters of Panama, Colombia, Nicaragua, Honduras, Belize and Mexico, they will also enjoy yoga, meditation and small-group water-based excursions such as stand up paddle boarding, sea kayaking and snorkelling. An exciting way to discover the wildlife-rich Caribbean coastline. Golfing voyages launched in Scotland and Ireland (5-12 June 2019) and on Canada’s East Coast (3-10 July 2019) provide an incredible new way to play on some of the world’s most remote and renowned golf courses including Cabot Cliffs in Canada’s Cape Breton and the ‘lost course’ of Askernish in Scotland, combined with a unique cruise experience full of wildlife encounters and visits to colourful coastal villages.